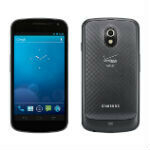 The Samsung Galaxy Nexus has gotten a pretty hefty price drop on Verizon, so big actually that it has caused some speculation to churn up as to why the price has dropped all the way down to just $99. Of course, we're not so sure there's much behind the drop other than the inevitable progression of technology. When the Verizon Galaxy Nexus launched back in December, it had a pretty high price tag of $299 (which we thought was something of a fleecing). Just over a month ago, Verizon dropped the price down to $149, and now you can get Google's flagship phone for just $99 on a 2-year contract. Amazingly, even though you can get an unlocked GSM Galaxy Nexus in the Google Play Store for just $349, the off-contract price from Verizon is staying at $649. There has been speculation that this price drop could be an indicator of another Nexus phone coming soon, but we don't expect another Nexus phone until at least September or October. There haven't been any rumors about a new Nexus phone aside from the rumor that Google would be launching 5 Nexus devices in the Fall, but that would point to October or November. Google has never been the best company about keeping devices under wraps anyway. Still, if you want a phone that has solid hardware specs and although it doesn't yet have the newest version of Android as you'd expect from a Nexus device, it should still get Jelly Bean before most other devices. Its 99 on sprint now too. I love my G-NEX but I am ALWAYS looking for the next best gadget. Hope Verizon release's Google's 4th iteration of it's pure Google goodness. I am trying to be a good girl and upgrade my phone just once a year. If only Sony or HTC would deliver one of these "gifts" from tech heaven. My current handset pretty perfect (not really) save for the poor camera performance. Come on Sony ! ill keep this in mind, those share everything plans on verizon caught the wife's eye, and the rep i spoke to said i could use my company discount, i would be paying less than i do now with sprint and getting the better service. Any verizon workers in here wanna confirm the discount use for me? A friend of mine works for them and, depending on who you work for, this is true. The discount would apply to the "Data" plan only .... not the individual lines. cool, my concern came from a time before when i was thinking of switching and they told me that my discount would only be applied to the voice part of the whole plan (wouldnt discount data) i was afraid that because everything is rolled into one with the share plans, they wouldnt give me my discount. The guy i spoke too kinda put me off, we spoke for 45 minutes, and he spent 40 bashing sprint, and only 5 actually telling me why i would benifit from switching. hence as to why i didnt believe him about the discount. It is one penny at amazon wireless. Wish we could get data only plans and not be forced into paying for minutes. I rarely make voice calls.